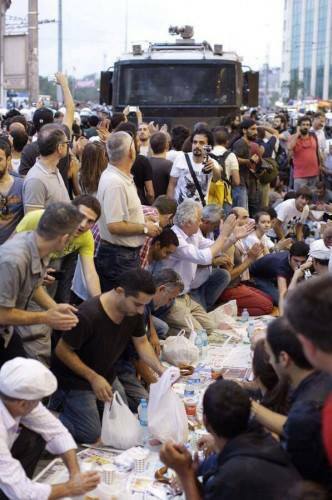 Monday night saw dozens of members of Taksim Solidarity – that wicked band of senior militants (men and women, grey-haired academics and the like) – being wrestled into a police bus (rather more than wrestled in the case of one of them – it took four well-built men, one per limb, to carry him across the square). But last night, it was all sweetness and joy. 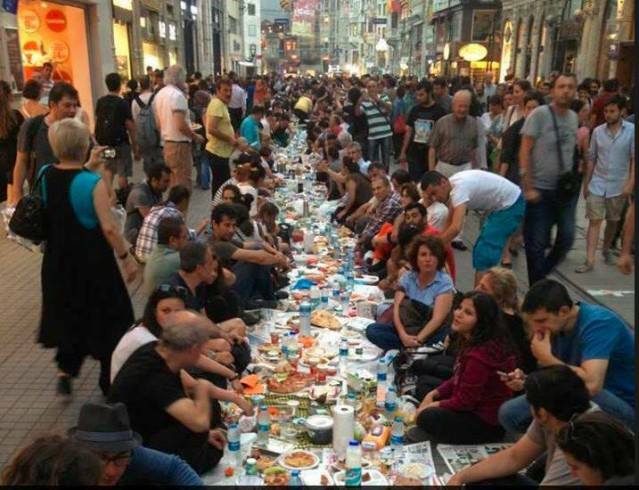 Mercy was shown on the multitude of protesters who gathered in İstiklal Caddesi to break their fast on the first day of Ramazan (not all were fasting, but all shared the moment). Thousands sat on the ground in a spontaneous sunset picnic that extended down the middle of İstiklal Caddesi, all the way from Taksim to Galatasaray. Such strength of will in a country where hospitality (both giving and accepting) is sacred. 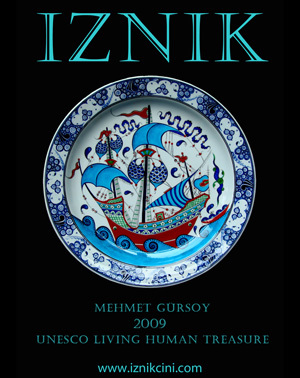 Just think: the gesture of a single outstretched hand might have closed the book on Gezi, but orders are orders. No one asked for pepper and the protesters cleaned up so politely afterwards that the head butler decided it was unnecessary for the TOMAs to hose the street down as they had the night before. Meanwhile Gezi Park itself was open once more – still as a garden, not a shopping mall, happy to say – and the municipality laid on a splendid feast below the Atatürk Cultural Centre (as shown on Facebook, above left) and below the trees. When municipality's waiters had cleared the tables, the rabble on İstiklal Caddesi was also generously allowed into the park. Ever so very grateful, they quietly sang their rabblish hymns to the great master in little groups on the newly laid turf under the trees.